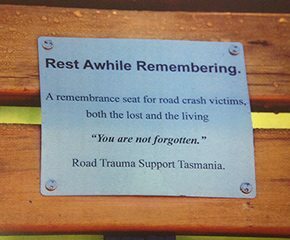 Road Trauma Support Tasmania has placed a plaque on a bench seat in Princes Square, Launceston, dedicating this seat as a special memorial for quiet reflection. Members of the public are invited to “rest awhile” there. 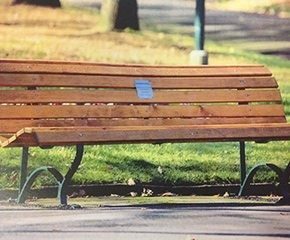 Thank you to the Launceston City Council for allowing us to dedicate this seat in remembrance.